Alexei Balabanov’s last and most personal film. An adaptation on Tarkovsky’s Stalker myth set in Balabanov’s provocative world. 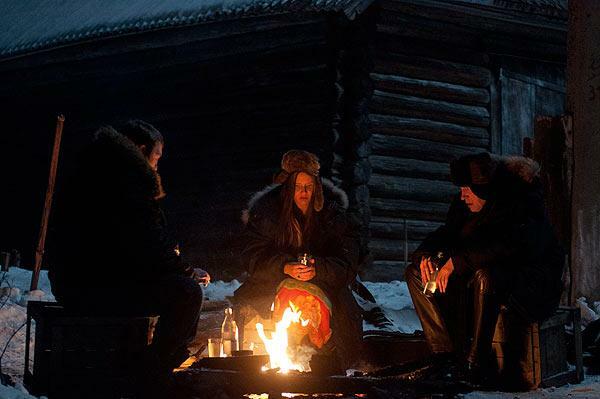 Alexei Balabanov is one of the most provocative Russian filmmakers of the recent years. Creating a very radical style he managed to capture in a gloom way the peculiar first years of the new Russia. His films have gained international recognition and the most famous are Brat (Brother) and Gruz 200 (Cargo 200). His latest film Ja Tozhe Hochu (Я тоже хочу / Me Too) premiered a few days ago at the Venice Film Festival, during the Horizons competition. The official release in theaters in Russia will be in November of this year and it will be later distributed internationally. The story focuses on three friends who are intended to find happiness. The Bandit (Aleksandr Mosin), the Musician (Oleg Garkusha) and the Alcoholic (Juri Matveyev) embark on a road trip to achieve it. Together they will take the alcoholic’s father and a prostitute (Alisa Shitikova) that will find on their way. According to the stories of a priest, just outside of St. Petersburg there is a place that is always covered by snow. After an accident similar to Chernobyl the increased radioactivity that was released has caused permanent nuclear winter in the area. In the center of this area there is the Bell Tower of Happiness and people flock there to find happiness ignoring all the risks. There is a possibility to die before you reach the Bell Tower but even if you arrive there you can’t be sure that you will become happy. Only few people will be the chosen ones. Ja Tozhe Hochu is certainly Balabanov’s most personal film and the viewer should probably know quite well the director and his work to understand in depth his symbolisms. Of course, this knowledge is not necessary to enjoy a film in its entirety. The main change compared to the past is in the aesthetics and this is his most lyrical film since his early films. Also there is almost no violence or grime visual depiction. His producer has stated that this is his most optimistic film, in Balabanov’s terms of course. The only thing that reminds his past work, is the beginning, were we watch the Bandit killing four people. That is the end of the obvious similarities. The film becomes more an esoteric journey and gives less attention on the characters and the relationships that are developed among them. It can still retain some of the humor of his other works, but definitely it is not a happy movie. Also, this is not a road movie despite the fact that the first half of it is evolved into a car. This is rather used as an excuse from the director in order to unwind his questioning. Despite these differences, the film encapsulates all the marginal elements that Balabanov has highlighted during his career. The bandits, the musicians, the alcoholics and the prostitutes are the main characters who always have a central role in his work. He also uses favorite key places, such as the sauna where always men take important decisions. For the roles he also chose his very own people, which he knows in his everyday life. The main protagonist, for the fifth consecutive film, is the amateur actor Aleksandr Mosin. The role of the Musician is played by the real-life musician Oleg Garkusha who as a leading member of the avant-garde rock band AuktYon has also participated in the soundtrack. Also in a key role as a child-prophet appears the son of the director, Peter. The most important participation of course is the one of Balabanov himself. For the first time he has a cameo appearance where he is playing himself, and like everyone else he is also trying to find happiness. 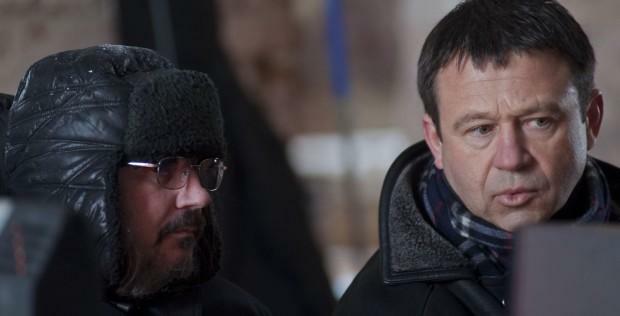 Balabanov is also the screenwriter of the film and does not hide at any moment that the central idea behind his own movie is Andrei Tarkovsky‘s Stalker. There are some striking similarities, the snowy area is similar to the Zone and the Bell Tower of Happiness is the equivalent to the room. But that’s all the influences. The director is not trying to shoot an adaptation, he does not want to copy or to pay homage to Tarkovsky. He just wants to tell his own story using as inspiration the one of Stalker and by borrowing some of its mysticism. The overwhelming presence of religious elements helps towards that direction. The story is based on stories of Father Raphael, there is a church and her Bell Tower and the area is controlled by the Patriarchate itself. These elements are basic in the core of the Russian Idea and Homeland, and perhaps they are the only ones than could escape from the egocentric scenario. Generally it is easily distinguished Balabanov’s obvious agony to complete everything now. At the moment he is not interested to speak about Russia’s problems, which is his favorite subject. The fear of the end and the death is overbearing and this can surpass all his other thoughts and choices. Everything else seems redundant in front of this finale.